 Sorted Surf Shop is one of the largest retailers of wetsuits, surfboards and accessories. We stock only the best brand men's , ladies & kids wetsuits within the UK. We have been established since 2000 and we are the UK's largest wetsuit supplier. Since our humble beginnings we have expanded our Surf Shop business and now have three retails stores and a massive wetsuits warehouse outlet all located in sunny Bournemouth UK. As our surf shop has been running for well over a decade and we pride ourselves on the wide range of summer wetsuits & winter wetsuits, we are confident we have nothing but the highest expertise to offer our customers. When it comes to the summer months you will be amazed by the choice we can offer in 3mm & 2mm full or a shortie wetsuit. All the possible surfing accessories you might need from changing robes to GoPro cameras are held in stock and ready for next day free delivery. If you need any help choosing a wetsuit then please feel free to call us for helpful advice. All our staff are very experienced in terms of knowing there wetsuit and surfboards. Choose from the best brands and no matter what size you are we will have a wetsuit to fit you. Brands that we stock include the inventors of the first suit O'Neill and the range is huge and covers all water sports. Rip Curl and Billabong are also hot on the heals of ONeill in terms of technology and warmth. We have all season in stock including 3mm and 5mm suits so no matter what you are looking for we will be able to kit you out. Check out our wetsuit clearance sales as at the end of each season we clear old lines mean you get an exceptional deal. For all of you wetsuit requirements then Sorted Surf Shop being the largest supplier of wetsuits in the Uk will ensure you get the right equipment for the water sport of your choice. When It comes to choosing the surfboard that is right for you then here at Sorted Surf Shop we are all totally passionate about getting in the water and having as much fun as possible. Our range is one of the largest in Europe so we have everything to cater for the beginner in terms of foam and mini mals to the local ripper who maybe after the Lost or Firewire. The brands we stock represent the best boards currently on the market in terms of price and shapes and we are always keeping up with the trends to make sure we have a wide range to choose from. Shaping a surfboard has always been an art and so i having the right surfboard for you to surf. As we are all different shapes and sizes you need to ensure the board you choose has the right amount of volume to float you and catch lot's of waves. As all surfers know the more waves you catch the happier you will be and the better you will get. This is also why we have such a good range of foam boards as not only are they great to learn on but even for the more experienced surfer you can use them in the summer months to have fun in smaller waves. Many families now buy soft surfboards as it is a great toy to take to the beach in the summer so the family can all have fun surfing. When it comes to the winter months, this is when the UK gets more powerful waves from the Atlantic storms so a slightly thinner board with sharper rails allows you to turn tighter and fast. You may even be lucky enough to get into a barrel and experience the ultimate feeling in surfing. Either way the good thing is that we will have a board in stock and ready for you to ride. Every now and again we clear our surfboards to make way for a new range. This means our discounted boards are on offer for you to buy at clearance prices. If you are unsure what to buy then please feel free to call us for helpful advice. From Surfing to SUP's plus a range of Accessories. At Sorted Surf Shop we understand that today's surfers need to be able to surf in all conditions and have everything in an online store to get you in the water. We pride ourselves on providing the best in water sports technology including winter & summer wetsuits, surfboards, surfing accessories and clothing. All our staff are crazy about surfing so everyone has an input into what we stock and that goes for the range of clothing from O'Neill, Animal and Rip Curl. We love the summer months so tee shirts and boardshorts for the men are the order of the day and for women a great range of tops, bikinis and dresses. When the winter months arrive you need the best in warm, durable and stylish clothes for the after surf warm up or a night out. Any water user requires some help from time to time and some of the products are certainly making all our lives a lot easier such as the tide time watches from Rip Curl. The newest addition is the search GPS watch which is quite incredible as not only does it tell you the tide time to pretty much any beach in the world but it tells you the amount of waves you have caught in a session and how fast you traveled on each wave. Sorted surf shop also offers surf lessons to all abilities through our friendly and professional surf school. If you want to learn to surf then you can hire a surfboard and wetsuit or we can provide a lesson for you to learn the basics. We have in recent years added stand up paddleboarding to the services we offer. Stand up paddle boarding or Suping as it is know has become a great way to keep fit and enjoy the water. Whether you intend to sup up a river or surf the waves then Sorted has got you covered as not only do we offer lessons to teach you the basics but we also stock a range including Naish, JP & Red Paddle Board inflatables for you to demo and buy.The surf school provides lessons for Surf & SUP and has hire facilities for Surf, Kayak, SUP & Wetsuits. If you would like to book a lesson, or simply hire equipment, please contact us and we will take your booking at the surf shop. Please feel free to visit our surf shops, Surf School and hire we always have staff which are happy to help. There are many attractions located on the beach front of Bournemouth. You will find trendy bars and restaurants such as Urban Reef, and hotels like Urban Beach to help you enjoy your stay.